The Department of Justice has said a further 440 refugees have been cleared to travel from Greece to Ireland, bringing the total to 900. The Government pledged to take in a total of 4,000 refugees under the Irish Refugee Protection Programme. However, just half of that number will have arrived by the end of the year. Ireland has taken in 1,244 refugees to date from countries such as Syria since the programme was announced in 2015. There are two separate schemes under which refugees come to Ireland. Under what is known as the resettlement programme, the Government has committed to taking in 1,040 people from Lebanon. In total, 785 people have arrived so far and the Government says the remaining 255 will arrive by the end of the year. 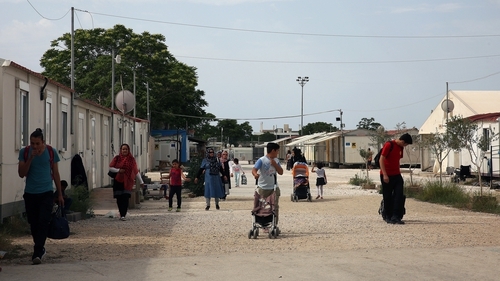 The relocation programme takes in people from refugee camps in Greece and Italy. The Government has committed to taking in 2,622 asylum seekers under this scheme: 1,089 people from Greece, 623 from Italy and a decision about where a further 910 people will come from has not been made. Only 459 people have arrived under this scheme so far and they have all come from Greece. The Department of Justice has said a further 440 have been assessed and cleared for travel, and a further 101 people are awaiting security clearance in Athens. The department said it will meet its target of 1,089 by the end of this year. Out of the 623 refugees due in Ireland from Italy, none have yet arrived due to security issues in Italy. Irish authorities want to send gardaí to Italy to carry out thorough security checks and do interviews with people planning on coming to Ireland. However, Italian authorities have not allowed this to happen. A progress report by the European Commission published last week did show positive signs that the Italian authorities were open to putting arrangements in place after bilateral agreements were reached with other countries. The report also called on Ireland to urgently increase capacity in reception centres, where people stay when they first arrive in Ireland, to meet targets by September. The Department of Justice has said these centres have been operating at full capacity for a number of weeks, but that some people had moved into homes in the community recently which has freed up some space. It said new people would be arriving from Greece later this month.